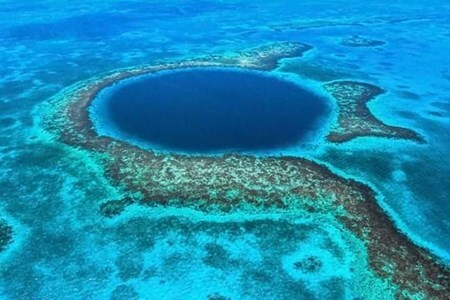 The Great Blue Hole (or Blue Hole Natural Monument) is a popular attraction within the Belize Barrier Reef System, a UNESCO World Heritage Site. 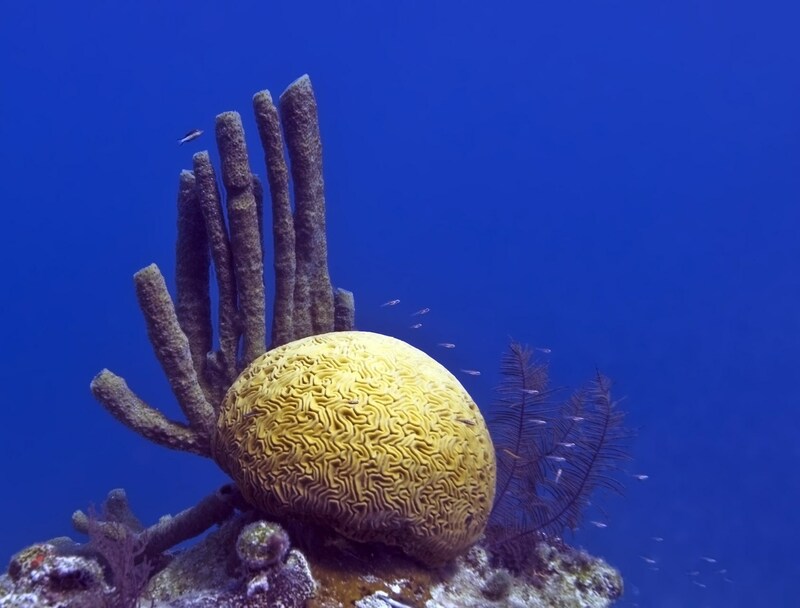 Located near the center of the Lighthouse Reef, it is a large, magnificent underwater limestone sinkhole off the coast of Belize. This natural phenomenon is approximately 1000 feet across and over 400 feet deep, and is the largest marine sinkhole hole on earth. 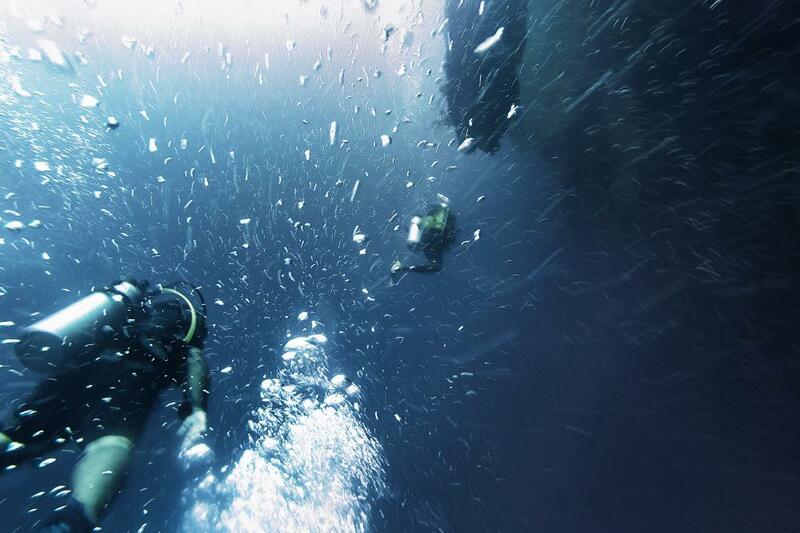 Divers descend into the Blue Hole’s tranquil abyss to see geological wonders and fascinating marine life. Giant stalactites, dripstone sheets, and columns are located in the Gallery at the southern rim of the Blue Hole. 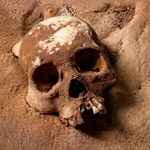 These structures formed in a dry cavern above sea level during glacial periods. 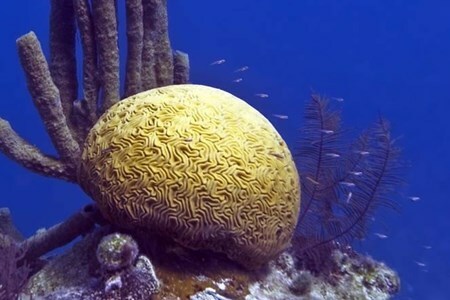 Jacques Cousteau revealed the secrets of the mysterious Blue Hole to millions of viewers in 1971 through the television series The Undersea World of Jacques-Yves Cousteau. 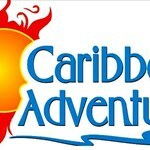 Today, dive boats follow the way of the famous Calypso to explore one of the world’s best destinations for scuba diving. 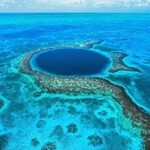 Come to Belize to experience the Great Blue Hole via diving trips, snorkeling trips, flyover tours, and skydiving jumps. 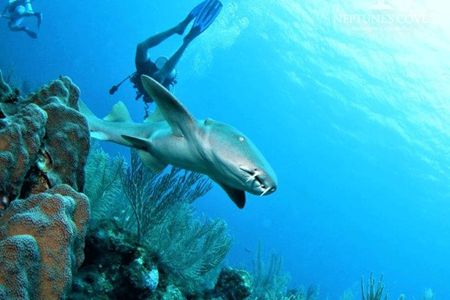 The Great Blue Hole is one of the most iconic natural monuments in Belize. 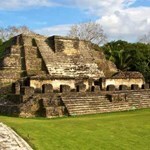 It is a part of the Belize Barrier Reef Reserve system, a UNESCO world heritage site. 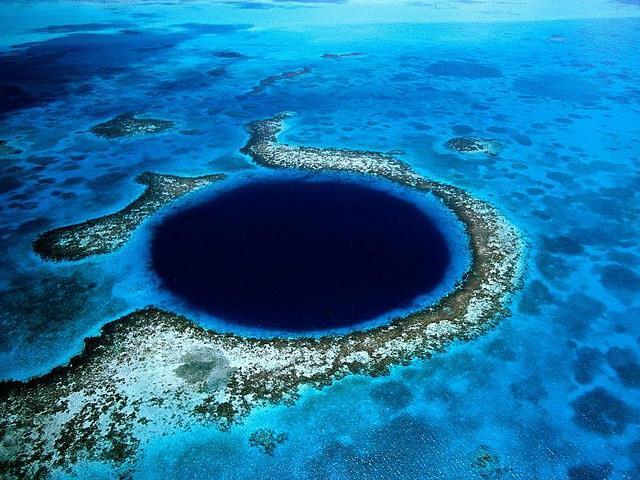 Over the past few decades, ... morethe Blue Hole has become known for being one of the best diving spots in the world. 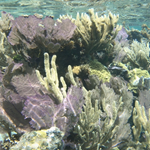 It is also one of the best places to snorkel in Belize. 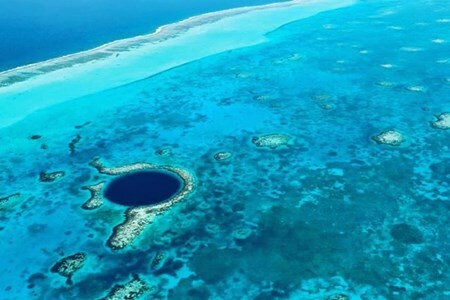 Ever since learning about the Blue Hole as a kid, it has been on my bucket list of places to visit. 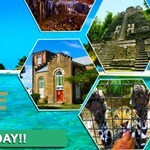 That is why when I learned that the belizing.com team would get the opportunity to visit the Blue Hole with Belize Concierge Excellent, I was ecstatic! 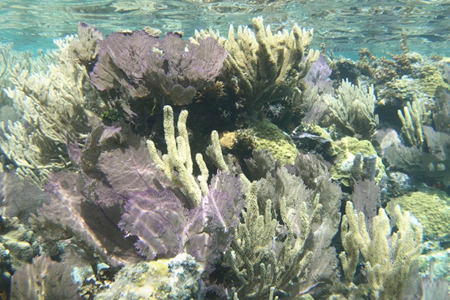 What better way to spend your 2018 summer than to go snorkeling at the Great Blue Hole and exploring the paradise island, Half Moon Caye? 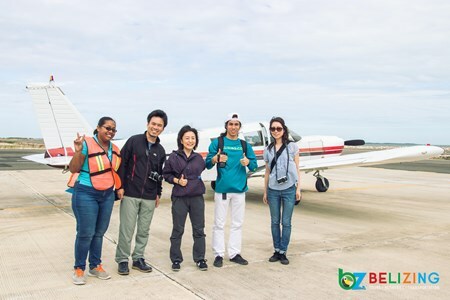 The Belizing Team had the opportunity to visit ... moretwo of Belize's seven UNESCO World Heritage Sites in just one day with the Belize Audubon Society! 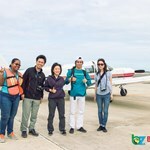 See the world famous Great Blue Hole in the best way possible … from the air with our Blue Hole Aerial Tour from Belize Concierge Excellent from San Pedro Town. 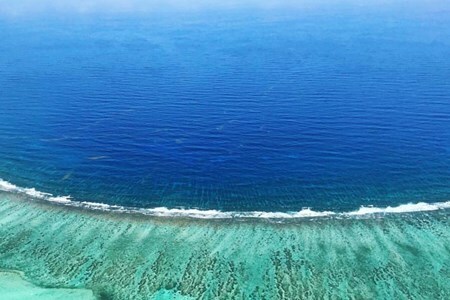 Hop on board ... morea Schedule Mixed tour Caravan and fly to Lighthouse Reef Atoll, and witness This natural wonder of the world. 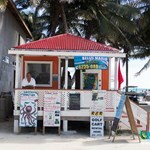 On the way, you will see the Belize Barrier Reef (the longest in the Western Hemisphere), and Turneffe Atoll. 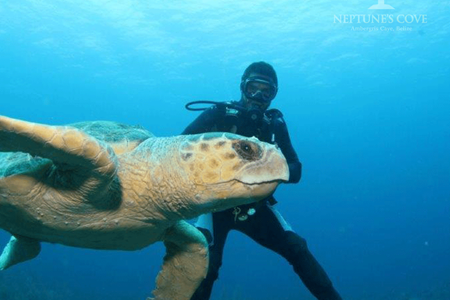 While flying over the largest sea-hole in the world, keep an eye out for various sea wildlife such as Manatees, Rays, Sharks, Dolphins, and much more!! 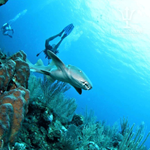 Certified Divers or they can Snorkeling Diving or Snorkeling Blue Hole Half Moon Caye The Aquarium Lunch on Half Moon Caye you can visit Boobie Bird Sanctuary.